When We Have to Share Mexico Resorts and Storms. Okay, here is the skinny on this blog site. Well, who doesn't like Mexico resorts and Mexico beaches? Who doesn't like a good storm? But do the mix? Not very often. Now, I can't say that I have been to many resorts per say, but I have been in a lot of storms. 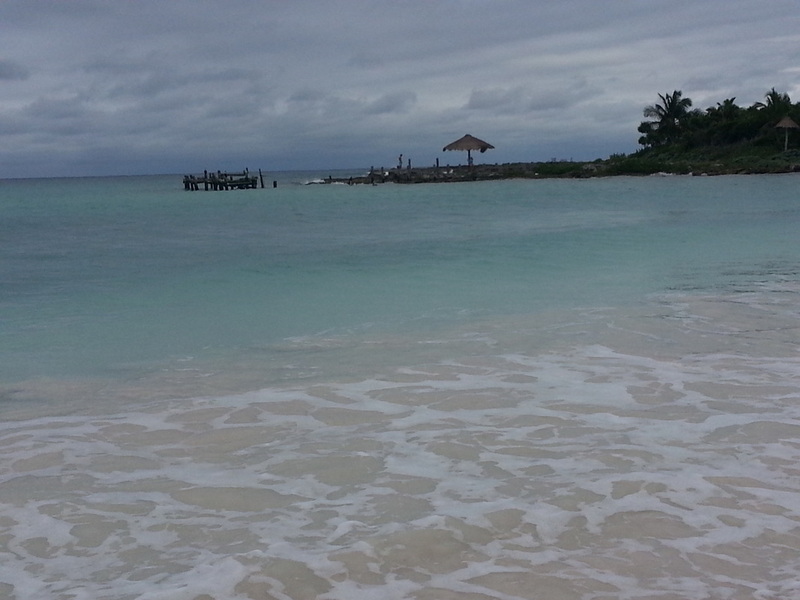 So some friends of mine ventured done to a Mexico resort for New Years 2013-2014. Now just a few months before Hurricane Ingrid had made an appearance. At the same time Tropical Storm Manuel hit. One of the first times in well over fifty years that a hurricane and tropical storm hit at the same time. Any way, with their permission they have allowed me to use some of their stories and photos to share as I increase my knowledge in tourism and mother nature. My name is Nate Olson. Grew up in the state of Utah, United States. My father was a professional over the road driver when I was growing up. In a lot of his trips, he would bring me along. Because of that I was able to travel all over America and parts of Canada and Mexico before I even had a drivers licence. This gave me a strong desire to travel as I got older. I love my home town but my shadow doesn't grace the ground long before I'm on the move again. Some pics of the hurricane storm damage. Okay, You got to check this out! Have you ever been on a vacation or to a resort that they advertise as beautiful, quaint, charming, or romantic etc. etc., and then to get there and find that it is run down, beat up, and trashy? I know I have a time or two. So, any way, I was looking through the internet the other day and came across this web sit for Majahuitas Resort in Mexico that is an Eco-friendly resort. Yes, I said Eco-friendly and not Eco-sale resort. Don' get the two confused. Lets break it down hear. Eco-sale just uses the word Eco in front of all their sales pitches to get you to think that they are Eco-friendly, but in reality they are far from that. Lets take a look at this here Majahuitas Resort. 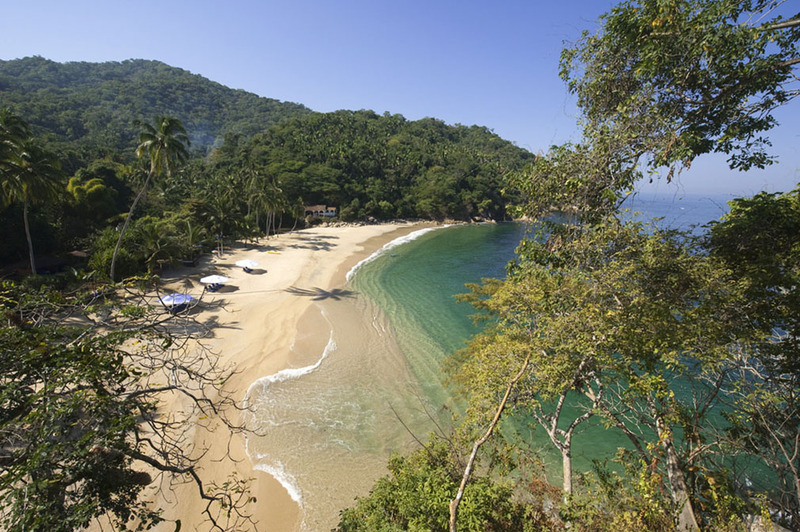 The resort is located outside of Puerto Vallarta on the communal land of the nearby Chacala. There is eight rooms to choose from, leaving this a low impact resort for the surrounding area. Also the rooms a powered by solar energy as well as water heaters. The sea food is caught daily by the nearby locals and also the fruits and vegetables are grown by locals and bought by the resort, keeping the money within the small community. Food that are not used promptly are recycled in the ways of compost for the gardens or given to the local farm animals as feed. The sewage system goes through a three stage process with the final result being clean water for the gardens around the resort. Also all employees are tough to respect all wild life and plant life. I'm sure there is more and I could keep going on and on. But this is one resort that you can go to and all but disappear. With their Eco-visions and leave no trace mentality, the only trace that you will leave is the economic one that will help the locals who work for the resort and live nearby and supply the resort with food stuff. So this is one resort that you can, for the length of your stay, you can say you disappeared and left no trace. But why take my word on it? How about you see what they have to say about it. Click on this link, I dare you! 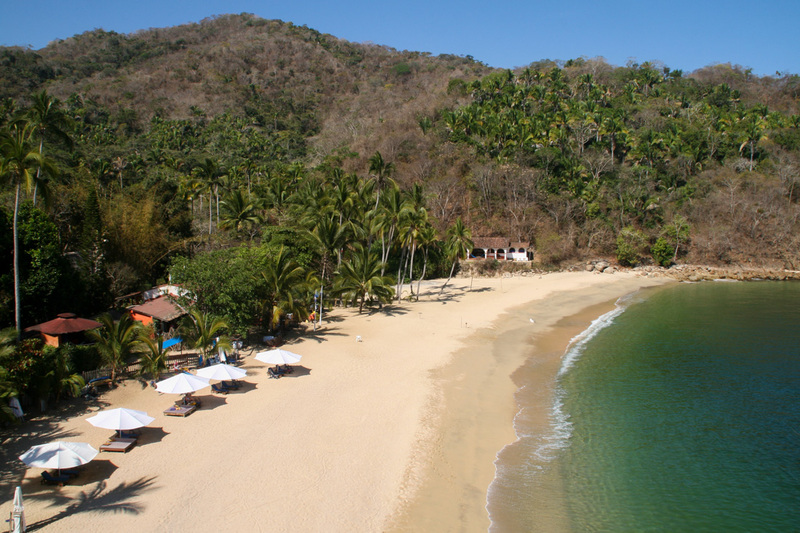 And if that one doesn't do it for you, here is a list of other Eco-friendly resorts in Mexico. More on Majahuitas! Fair Trade! The Bay of Bandera's from the Cliff House casita, Majahuitas Resort. So, the more I look into this resort the more I feel like talking about it. Or the more I feel like I am giving them free advertising. Oh wait, I am. That's okay, because this place is fascinating. The more I look into them, the more I find. This place just screams Fair Trade. Before I go on, Let me give you the 5 cornerstones of fair trade; 1) Fair Prices, 2) Fair trade partnership between all actors in tourism, 3) Sustainable resource use and environmental justice, 4) Integration into the local economy and regional development, and 5) fair working conditions. Here are a few examples of how this is a fair trade resort. At any given time, at least 50% of their staff are people from nearby communities, protecting the local stakeholders by keeping money generated from the resort in the local communities. Also foods served at the resort are grown or caught (sea food) by locals, again keeping money in the community. 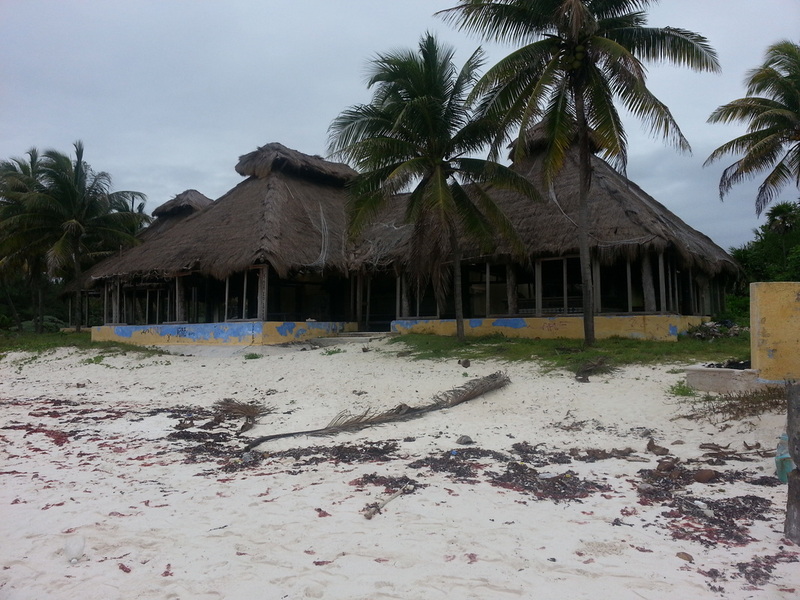 The land that the resort sits on is communal land and can not be sold or traded. It belongs to the local community and is leased by the resort with very eco-friendly regulations on the placement of the cabins so not to hurt the environment. Do to the location of the resort, the only way to access it is by boat. To reduce the amount of transportation the chef of the resort prepares three meals a day for all the staff, thus aiding into a fair working condition. Also reducing the amount of emissions put into the water from the boats. Environmental justice. There are no televisions at the resort, but there are a lot of activities to do there. Some are for a fee, but there are a lot that are free such as snorkeling gear, kayaks, guided tour to a water fall, and an evening movie among others, creating a fair price environment. The resort and the community work close together in cultural awareness, education, and in the health and wellness of the local community helping to sustain local economy and regional development. There is plenty more to keep talking about, to much for this blog so I would like to encourage you to go to their web sit and see how much they have to offer, not just to the tourist but also the employees and the local community. My call to action to you is, when traveling look for resorts the participate in the Fair Trade Tourism. You might have to do a little research, but in the end it is well worth it. Not only does it benefit you, but also the host community. Okay, looking into weather conditions and destinations is very important, but also safety while traveling is very important as well. Here is an example of a trip that turned into a head ache. My friends, that I mentioned in an earlier blog on their trip to Mexico, had a first hand experience of theft while on there venture down to Mexico over their new years vacation. Although booked through a reliable travel company, Apple Vacations, and covered with travel insurance, things can still go wrong. Here is a brief rundown of what happened. Shorty after landing they got in a cab from the air port. One of the ladies in their group took her fanny pack off and laid it on the seat next to her in the cab during the ride. This fanny pack consisted of cell phone, credit cards, cash, and other essentials packed up in a small carry around bag. Upon exiting the cab at their hotel and grabbing their luggage, the fanny pack was left behind. The cab left. Twenty minutes or so had lapsed before the missing pack was realized. They confronted the hotel staff, who jumped into action contacting the cab company, but the response they received was that the cab driver was not answering his radio calls. The next day they continued on to recover her lost goods, and found out that a few small purchases had been made on some of the credit cards. They tried contacting the credit card companies via telephone only to find out that 1-800 numbers do not work in Mexico, their only way of contact was by email. A day spent getting those, credit cards, shut down, and contacting the travel company and the insurance company started cutting into their vacation. The third day was spent placing police reports, that become a hassle because of the language barrier. At that point her husband drew the line and said that the card were secured, the phone could be replaced, and the cash and other things could be, as with the phone, be replaced. Three days of their vacation was lost. 1) photo copy and scan all credit cards and identification, front and back, email it to your self. Great way to have access to your information incase of loss. 2) Leave valuables at home, take only what you need. 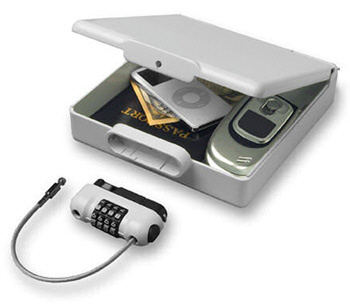 This will deter theft and ease your mind on your vacation. 3) Use reliable transportation through your resort, airport, or bus or train station. Do not hail a cab off the side of the road. I hope some of these tips will help you to have a safe and fun vacation, Where ever you may be going. Theft has no boundaries. 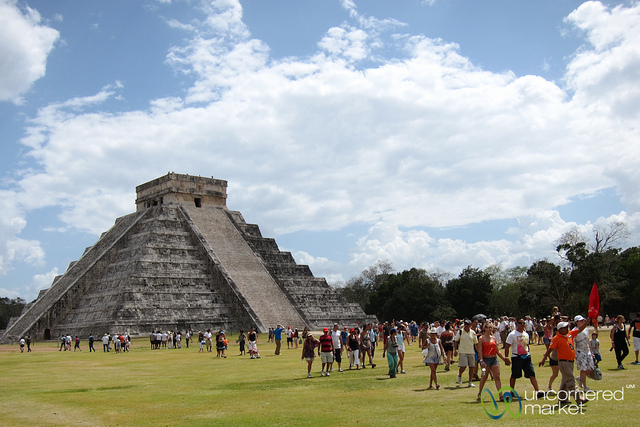 Lets talk a little about over crowding at Mayan Ruins, or anywhere for that matter. How many of you have planed out a vacation to an exotic destination only to get there and be disheartened of the results because of the crowds? Studies have shown that the less people at a destination heightens the experience of the traveler, the more people takes away from that experience. Granted, when you go to places like amusement parks, you expect crowds. But when you go to, say a Mayan Ruin in Mexico, or something of historical value, you want to get a feel of the people who created these structures and kind of put yourself in to what they were about and their placement on this mortal plain. During peak seasons, destinations to major sites can be good for some of the local economy but can hinder a vacation. Some of the problems that can come with over crowding is damage to the fauna of the area, compaction of soil from trampling, graffiti and damage to the sight, and also the dispersion of animals from the area. This can all be altered by the travelers themselves. Here is a couple suggestions; I know it is kind of hard to plan things outside of peak seasons, especially with children, but if you could plan the trips before or after the peak season, there is a window during these times, it could reduce crowding and impact on the site. Also, it could help local economies who are in pre or post economical woes. Also traveling outside of peak seasons could end up being cheaper. Try to avoid popular destinations if having to travel during peak seasons, get off the beaten path. It is amazing what you can find when you step off that path and look for things instead of being a run of the mill tourist. With doing so, you can also contribute to other local communities who don't see a lot of tourist activity and help them sustain their community. in wrapping this up, just remember that when you go to a site during peak season, not only are the crowds taking away from you, but you are taking away from others as well. Plan wisely and maybe give these Mayan Ruins in Mexico and South America a try, who knows what you will find! These are two of the many things that I learned about while taking this Creative Writing class above and beyond learning new skills in the communication field. I hope that my blogs and Pinterest post have not made you sleepy but helped in becoming a well versed traveler. My call to action is that you become a well versed and prepared traveler. Will I keep keep blogging and pinning? I'm quite sure, but will expand!